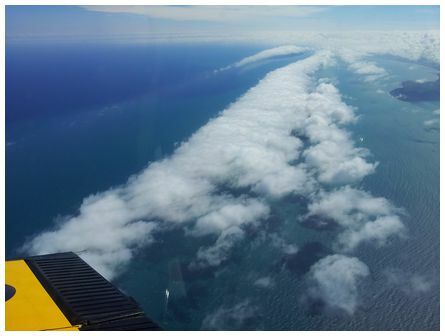 'Hi James, this photos taken at 10:30 on Monday 26 November 2012 at 8,000 ft from the vicinity of Mana Island off the Wellington coast. 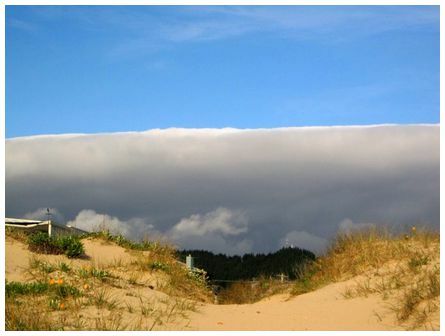 There was a cap cloud over Kapiti that appears to be advected south - it could be seen all the way to Ohau Point. Couldn't get it all in one photo. 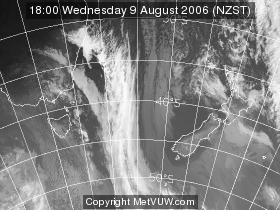 At least 3 more parallel bands between the Kapiti band and the coast. 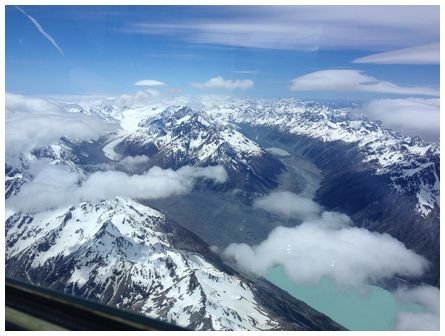 Surface wind at Paraparaumu and Wellington, as well as Mt Kaukau, were all northerly. Taken on a Galaxy Note smartphone' wrote Jim. 'Another perfect day in paradise. 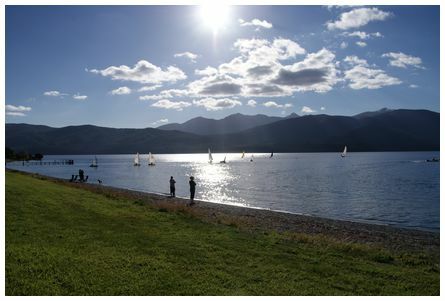 Photo taken at 17:30 on 12 November 2012 on Lake Te Anau with a backdrop of Murchison Mountains. Warm and sunny with light breezes, perfect for kids learning to sail' wrote Alina. 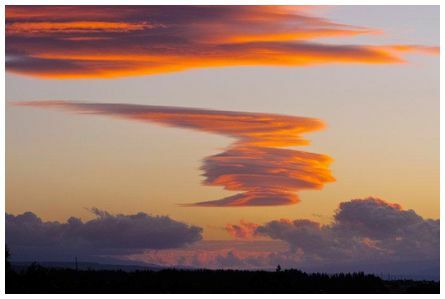 This photo was sent in by Mike Green, Christchurch. He wrote 'Hi James, Adriaan showed me this photo and I thought it would be a great one for the site. 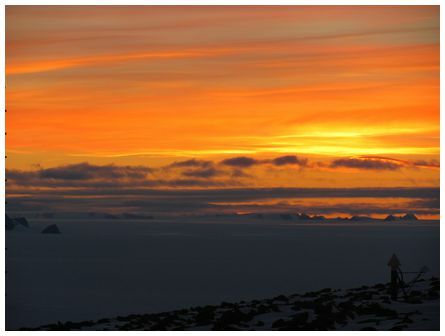 This photo taken about 23:00 on the 6 February 2010 from the SANAE IV South African research base in Antarctica, located near 71.7S, 2.8W. For a time in December and January the sun stays above the horizon. This photo was taken a few minutes after the sun started dipping below the horizon. It was taken looking south. 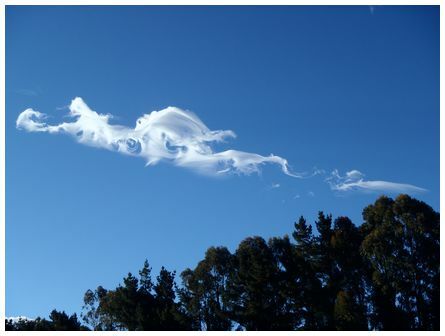 'Nice cloud art entertaining us as it rolled over from the Tararuas. Taken at 17:50 on 23 November 2012' wrote Matt.